This level is easy have lot of question mark candies that will help to give lot of special candy that will easily complete orders. 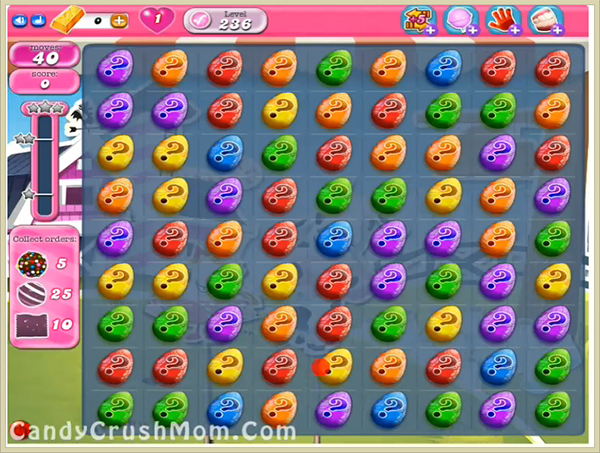 For this level combine same color question mark candies and then use special candy with other special candy that you get so you could easily complete this level within few moves with three stars score. We completed this level with 320460 score within just two moves and got three star score at the end of the level.